Deciding to list your home is usually very exciting. Most of us start the process with the image of a new home in mind. Picturing our family around the table in a new kitchen or relaxing on the couch is enough to motivate many of us to go through the sometimes difficult process of moving. Before you can move – and even before you call an agent – you need to prepare your house for sale. Don’t overthink what it will take to attract a buyer. With a few simple steps, you can have a ‘Sold’ sign on your listing quickly. Here is my Top 5 list of Do’s and Don’ts for sellers. Cast a critical eye on your house. As you drive up, imagine how a prospective buyer will see your home. What is the first thing you see? What draws your eye? What looks tired? What looks fresh? You want to have some color. The yard should be tidy and the porch should be clean. Plant new flowers to freshen things up. Clean around the front door. Remove clutter like a newspaper box or collection of shoes or boots. Sweep the cobwebs away and replace the porch light bulb. Walk through the house the same way. Spot the things you normally just overlook. Odor is a big thing. When a person opens the door they don’t want to smell a dog. Buyers don’t want to smell a cat. They don’t want to smell a bunch of mold or the faint indication of stale smoke. That will turn them off immediately. Someone getting their first impression of your home wants a fresh, clean aroma. There are products that you can purchase that will put a pleasant smell in the air with one drop in your oven. Remember, you probably don’t even notice the way your house smells, so don’t trust your own nose. For every dollar you spend on paint, you will get two or three dollars back on your investment. A couple of hours with a paint brush can be a difference maker for a buyer. Paint the trim, inside and out. Make a bigger impression and paint your front door. It’s a very good thing to make sure everything is painted. If you are hoping to move, you might as well pack your things sooner rather than later. If you aren’t going to use it, put it in a box and put it in storage. Remove personal photos around the house, pictures on the refrigerator, decorations on the wall, things on the kitchen counter and windowsill, that catch-all basket on the table, and clutter like old magazines or newspapers waiting to be read. Things that are decorative and charming to you distract the buyers’ eye. Get the windows washed. Dog prints on the window are a definite turnoff. Hire a professional cleaner. Oh, and get those blinds cleaned. Once the paint is dry, the clutter is packed, the windows are clean and the curb appeal has been improved, you are ready to call in a realtor. If you do not already have a real estate agent you know personally, and you want to get an objective opinion, contact a title company or lender. Ask them for the names of three or four realtors they like working with. Title companies and lenders will have their favorites and will direct you to the most experienced agents in the market. The best realtors get their paperwork done, are friendly, professional and organized. If you are still questioning the need for an agent, consider this: the hard work really starts when the offer has been accepted. That’s when you want someone who can be a calming effect when everyone else is losing their heads. Investing money in the wrong place is a common mistake. Leave the bathroom and kitchen alone. Resist the temptation to put that koi pond in the backyard. You simply will not get your money back. In fact, you could hurt your chances of a sale if you install something a possible buyer hates. Unless your countertop is chipped and ugly, leave all improvements to the new owners. Appliances are expensive, very specific to the owners’ wishes and one of the first things the new owners will replace. Save your money. Usually people will say ‘I need this much out of my house’ in order to set the price. The market doesn’t care what you need. The market is the market. So whether you over financed or took out a second loan…the market doesn’t care and the market sets the price. Your agent will know what the house will bring. People you know may want the best for you, but unless they are experts in local real estate, they don’t know what that house is really worth. Again, that’s what your agent is for. TIP: If you want to make sure you sell your home, choose an asking price at the lower end of the scale. You want more bites, not fewer. 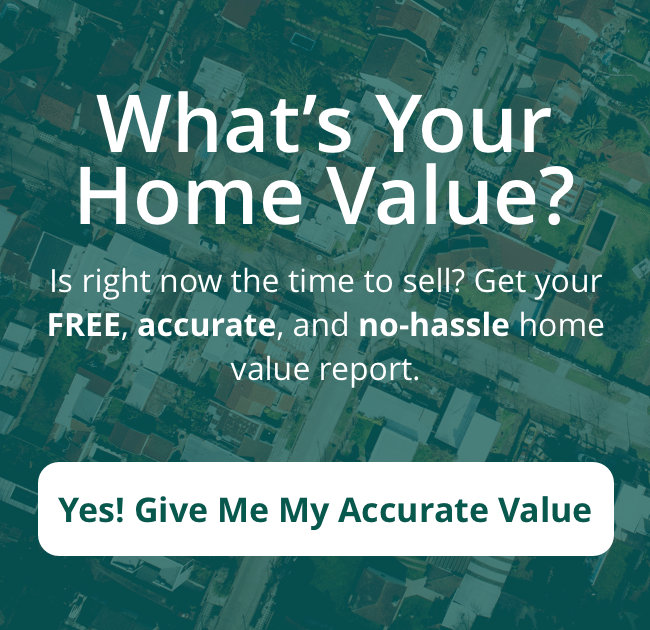 The assessed value of a house has nothing to do with the actual value because the city or county has never been inside your home. Your taxes are determined by the general size of your house. Sometimes, there is a big difference between assessed and market value. Your agent will be able to use other homes in your market to give a more specific listing price. The appraisal will provide even more detail. One more piece of advice. If you are unsure about what needs to be fixed in your home, pay to have a Whole House Inspection before putting the house on the market. Whole House Inspections remove the element of surprise for the buyer when they have an inspection done on your house. Additionally, the buyer may be more interested in making an offer if they are able to see a Whole House Inspection report prior to making the offer, especially if all of the corrections have been completed. Greg Johnson has more than 25 years of experience in real estate. He and his wife Carol, own G. Stiles Realty in Roseburg. Email Greg: greg@gstiles.com; Visit the G. Stiles website: www.gstiles.com; and find G. Stiles on Facebook.